Bouquet for Kathy Ireland Home presents the acclaimed designer's unique vision beautifully translated into a flower arrangement for Mother's Day or for any day you want to make special. 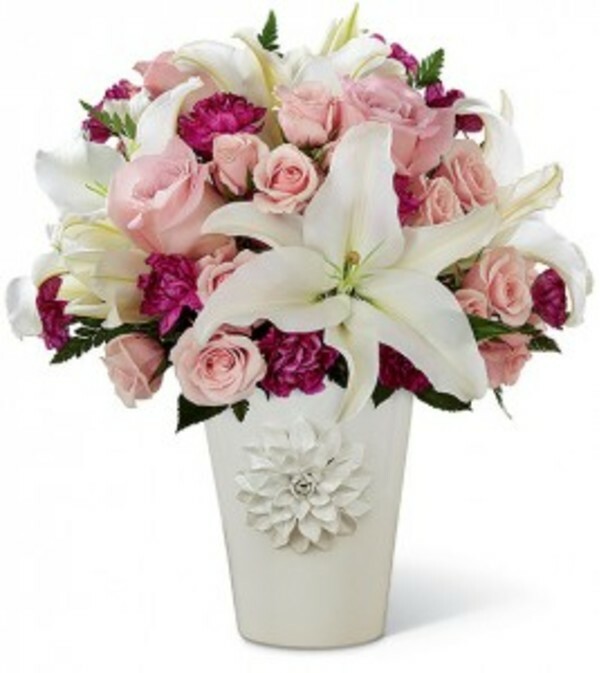 White Oriental Lilies make a dramatic appearance while pink roses and spray roses, plum mini carnations and lush greens create an exquisite floral contrast arranged in a white ceramic vase with a hand sculpted blossom on the front. 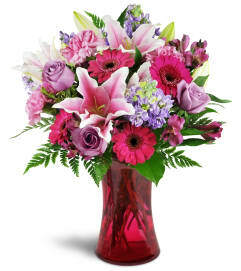 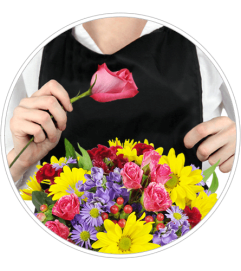 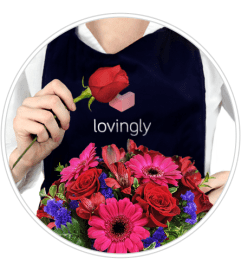 Besides impressing mom, this mixed bouquet can help make any other special occasion, extra special.